So, what is the We Rock Social Skills Program (WRSSP), and better yet, how does it benefit children enrolled in the program? WRSSP is a program designed to offer classes to aid children in gaining the social skills they need to properly function on a daily basis. Whether a child is on the spectrum, has another disability, or is simply introverted, a lack of social skills can result in inappropriate behavior in public settings. This was the case with my son, Gabriel. Although he is a high-functioning child with autism, he often felt awkward and shy around other children. To address this, we developed the WRSSP to offer children the opportunity to take a sensory break from classes to play on the equipment at the gym. 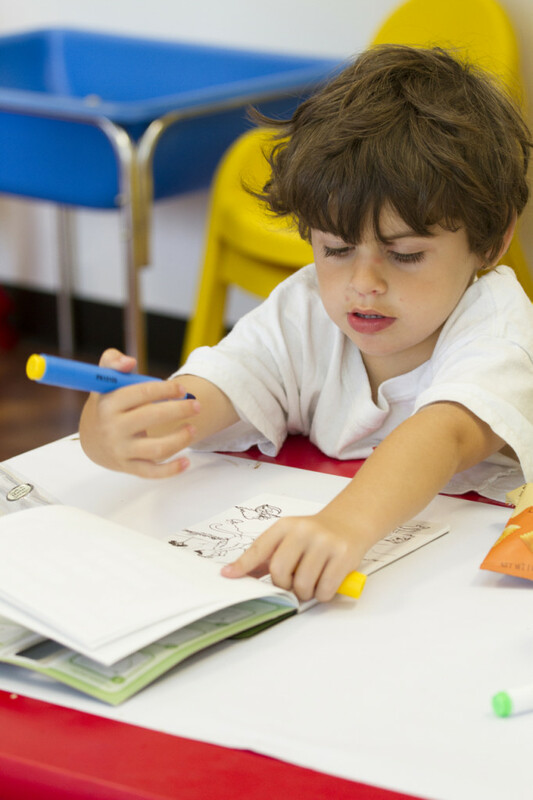 By incorporating breaks, it allows children to refocus their minds on the subject matter of the class so that they can benefit from the classes more. This has not only helped Gabriel, but it has also helped many other children in developing social skills more efficiently. Our social skills program gives the instruction needed for proper social interaction with one another in the class as well as outside of it. Children have benefited tremendously by learning how to make friends and keep them, how to set up play dates together at the gym and at home, and how to learn to support each other through the social skills group classes. The skills and behaviors expected are broken into three groups: Preschool, School-Aged and Adolescent. This helps children and instructors focus on the skills required and expected of each group. The social skills groups often take their skills on the road to a restaurant, theater or outdoor park to show off what they have learned and to gain an understanding of how others in the community react to social interactions. Mastering social skills gives children the feeling of independence that they desire. One of Gabriel’s first ABA therapists helped him through a myriad of social skills processes and now leads WRSSP. This amazing therapist, who is now a doctor and an owner of the Northridge We Rock Gym, is Doctor Agnesa Aggie Papazyan. We offer the regulation of social, emotional and behavioral action of the children in the classes, helping to teach them proper reactions to each social situation as it arises? Dr. Aggie says about the ten-week social skills program. These classes teach social communication and interaction as children engage and play with others at We Rock. Having the sensory gym in the same location as the social skills classes offers the opportunity for the sensory breaks as well as offering additional opportunities for children to practice the skills they have learned. The social skills program has been so successful to date that all of the children who attended the first session at the Northridge We Rock Gym have signed up for the second session. So far, just five weeks into the program, all of the children have also signed up for a third session. Of course the dynamic instruction offered by Dr. Aggie and her staff have much to do with this continued and repeated success but so does the content of the classes. Parents are able to quickly see how the social skills program has helped their children to achieve results. Children enrolled in the program are displaying more appropriate social behaviors at home and in public, which is a huge relief for parents. Additionally, parents are able to form their own support groups while children are in their classes. We often see parents forming a support group on their own by sharing experiences, exchanging contact information, and setting up playdates with their children either at the gym or at home. This gives parents a natural evolution of social support for each other and helps them feel more comfortable and relieved knowing their child is not the only child who needs assistance. I now see in Gabriel a more confident, outgoing and socially active child than the shy, reserved boy from years past. He now fully enjoys the interactions at the gym and in other social settings and has developed his overall social skills to a level that I could not have imagined without the help of Dr. Aggie. We have received numerous positive comments from parents of children who have attended her social skills classes and who are excited to see their children blossom into the socially active children they are now. By understanding what appropriate behaviors and reactions are to social, emotional and behavioral situations, many children have gained the confidence to interact in a variety of social situations and make friends that they may have for many years to come. This entry was posted in Autism Resources, Dream With Dina, Why We Rock and tagged autism classes, autism parent resources, social skills on March 26, 2015 by David TEST! Ephraim.